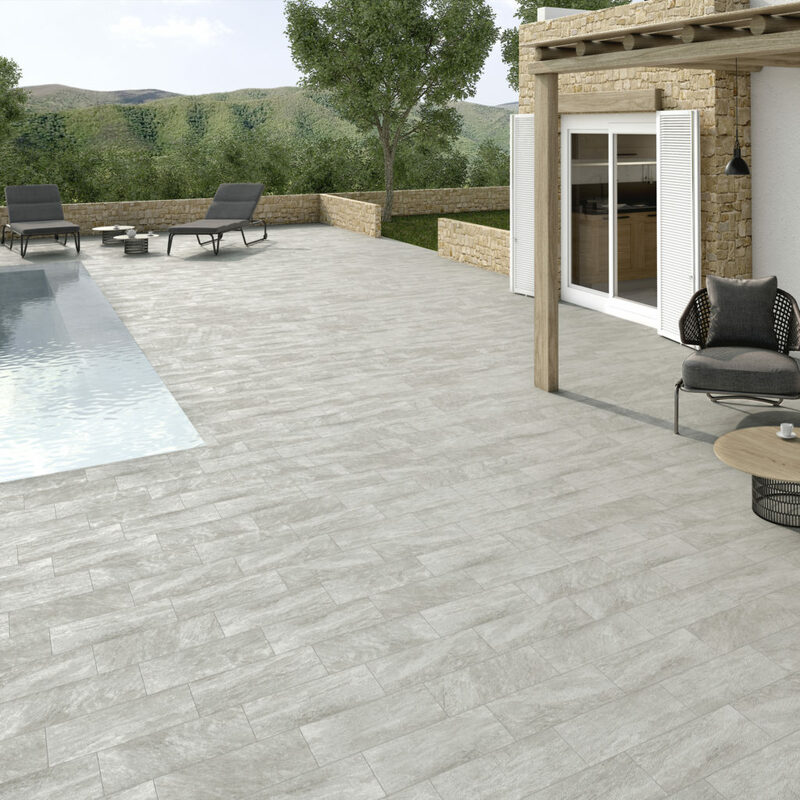 Description: Beyret is a porcelain stone effect in natural tones available in blanco, perla, gris and antracita. It provides an extremely elegant modern look. It is available in both a natural and anti-slip finish.